Neave has performed and held residencies at many esteemed concert series and at festivals worldwide and has appeared frequently as soloists for Beethoven's Triple Concerto with orchestras across the country. 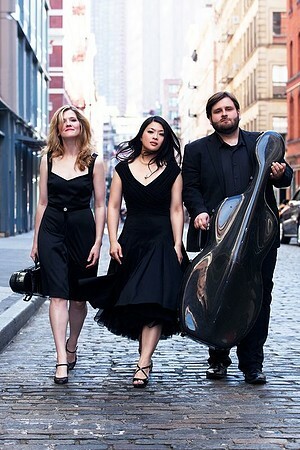 In the fall of 2017, the Trio joined the faculty of the Longy School of Music of Bard College as an Alumni Artists, Faculty Ensemble-in-Residence. Neave released their latest album, French Moments, on Chandos Records in June 2018, and in the fall of 2018, they will release an all-Piazzolla album on Azica Records. Their debut album, American Moments, was released to critical acclaim on Chandos Records in 2016. Highlights for the 2018-19 season include a residency at the University of Virginia, and concerts at Chamber Music Corvallis, Valley Classical Concerts, Fort Bragg Center for the Arts Music Series, Northeastern Illinois University’s Jewel Box Series, Rochester Institute of Technology’s Performing Artists Concert Series, Dame Myra Hess Memorial Concert Series, Friends of Music of Stamford, and Leaf Peeper Concert Series, among many others.